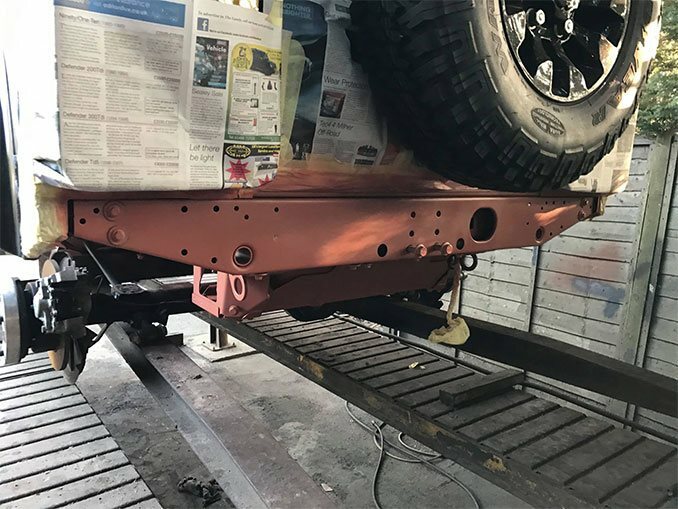 The chassis on the Defender is the piece that needs protecting to make the vehicle last a lifetime. We can treat all defender models including 90 & 110 – That can be carried out in our Sussex Based workshop. Our Chassis treatments are probably the most comprehensive treatments on the market and will protect your chassis for around 15 years, the company we purchase our coatings from has been in business for over 6 decades and has been tested in the deep sea. Firstly we take your vehicle and give it a full steam clean to the underside. Then we allow this to dry. Once the Corroless S has dried we then paint on the final black coating, which is Corroless RF, this is a reinforced glass coating but in black. we also apply 2 coats of this. Once this whole system is applied it will give your vehicle up to 15 years protection. 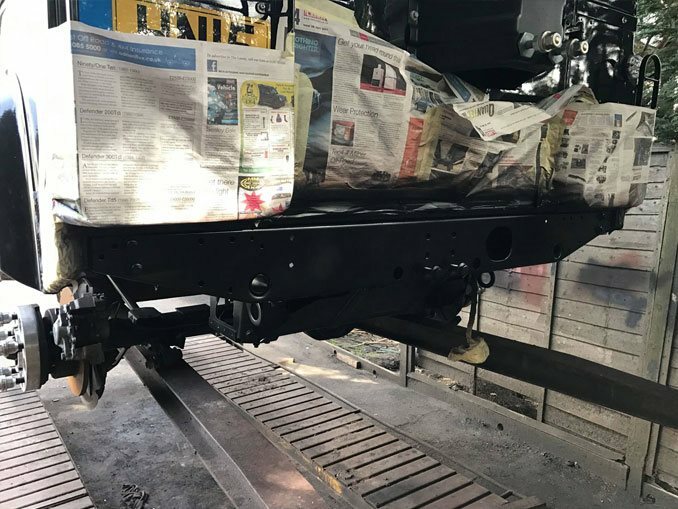 The price is just for the main chassis treatment, we can do additional areas such as inside the bulkhead or axles for an additional cost. Vehicles can be dropped off and collected on Saturday’s. Please call on 01825 841148 or email us at ben@thethatchedgarage.com to discuss or book your vehicle in.